This content is provided by Bernardo M Cremades Sanz-Pastor. Investor-State arbitration; international commercial arbitration; international dispute resolution. Over 40 years of legal practice focused on international commercial arbitration and transnational investment disputes under the auspices of all major international arbitration institutions as well as “ad hoc” arbitrations. Mr. Cremades has particular experience in infrastructure, energy, commercial law, finance and banking and foreign investment. He also actively participates in Dispute Adjudication Boards in the construction field. ICCA; ICC Institute of World Business Law; CPR Institute for Dispute Resolution; CIArb; International Arbitration Club; LCIA; International Bar Association. Business Law in Spain (General Editor), Butterworths, 1992; Arbitration in Spain, Butterworths, 1991; Litigating in Spain: considerations for foreign practitioners, including judicial assistance, enforcement of foreign judgments, bankruptcy, arbitration and other civil proceedings, Kluwer Law, 1989 and a wide range of articles and other publications. Mr. Cremades’ international recognition includes Germany’s Verdienstkreuz award, and the French distinction of Chevalier de l’Ordre National du Merite. 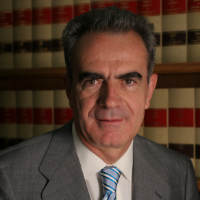 In Spain, he has been awarded the Isabella the Catholic Cross, the Order of Civil Merit and the Grand Cross of the Order of San Raimundo de Penafort for his contribution to the development of arbitration.